Upon finishing my first half of law school, I’ve found one thing to be increasingly evident: NYU is a truly international university. As such, NYU Law offers three outstanding and fully integrated study-abroad programs in Paris, Buenos Aires, and Shanghai. For me, the question was not if I would study abroad, but where. As I thought about which country has one of the most dynamic and fastest-growing legal and financial markets in the world today, the decision became clear. 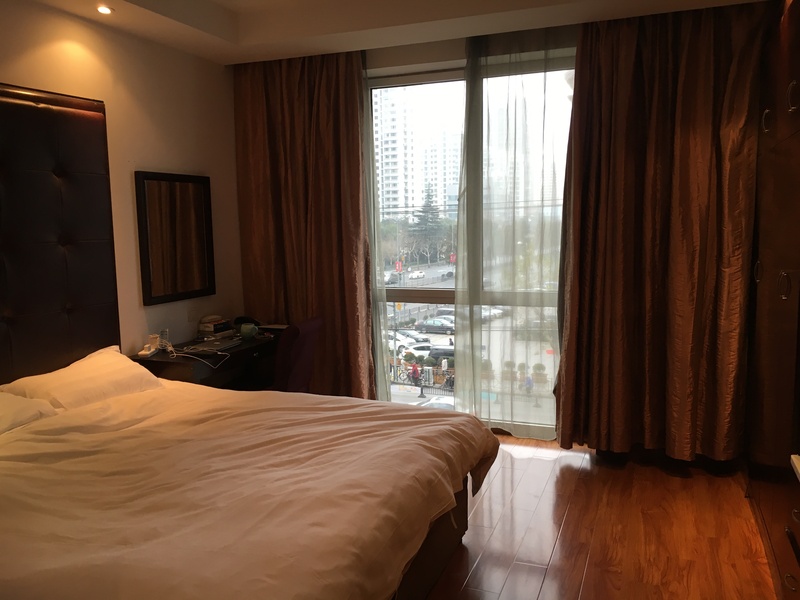 As a result, I am currently writing this blog post while looking out over the busy morning traffic along Xietu Lu in the Puxi district of Shanghai. Did I ever think going to law school would afford me the opportunity to study for four months in China? Never! Two weeks in, am I happy with my decision to apply to study abroad and uproot my life for the semester and move from New York to Shanghai? Absolutely! As I am only in my first week of classes here in Shanghai, I will reserve further insights into life as a law student abroad in China for future posts. However, I would like to address some initial concerns that some students may have when considering whether to study abroad in Shanghai. “I don’t speak Chinese! I will be so lost in Shanghai! It will be so hard to adjust!” It’s OK; you won’t be; and no, that’s not the case! 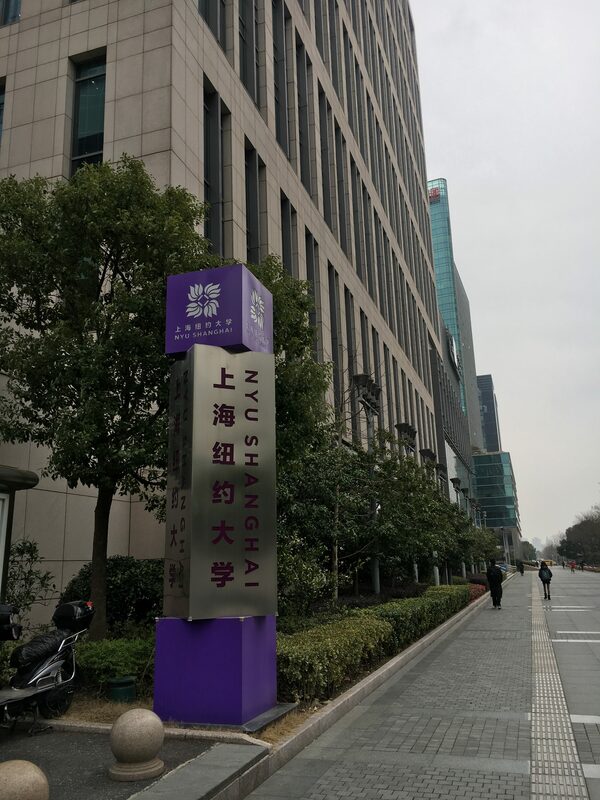 NYU has its own campus in the Pudong district of Shanghai (Puxi to Pudong is like Brooklyn to Manhattan, distance-wise). Shanghai is truly a “first-world” city. It feels just like NYC, except larger and with trains that run on time and do not break down. The NYU campus is brand new, and I felt at home the instant I walked in. My Wi-Fi connection from the NYU Law campus at Washington Square Park even connected automatically, and my access card worked seamlessly to let me into the front lobby of the building! 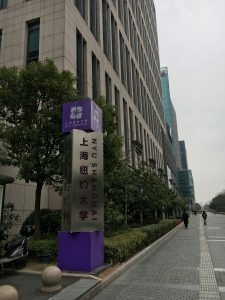 The NYU Law in Shanghai coordinators, located both in NYC and Shanghai, are extremely helpful and will be in constant communication to help with the transition (shout-outs to Amy and Shlomit!) They also coordinate a number of trips for fun; walking tours; dinners; and site visits to courts, businesses, and law firms throughout the semester for the law students. 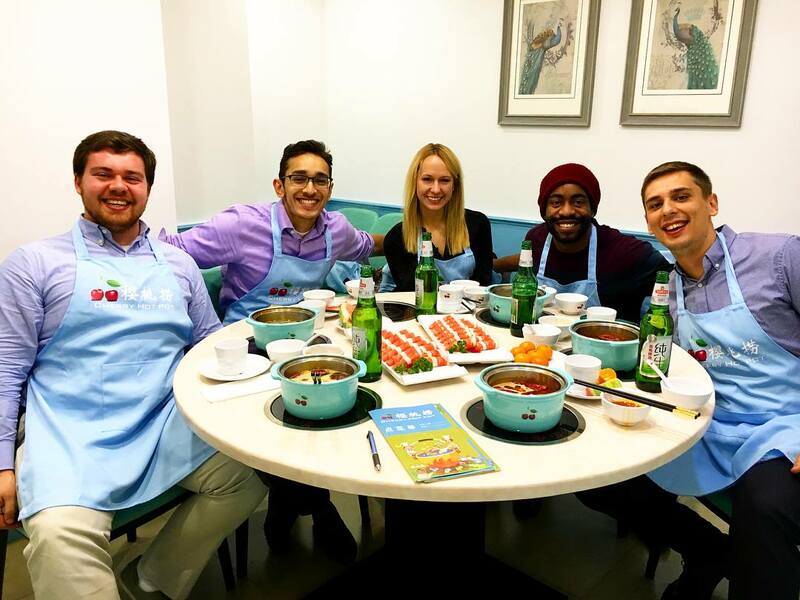 As for language barriers, many people speak English here in Shanghai, especially at NYU—but don’t worry, you will have plenty of opportunities to build your Mandarin skills along the way! “But won’t I miss out on a lot of stuff in NYC if I leave for the semester? !” Yes and no. One thing I have learned over the course of my travels and subsequent returns to NYC over the past few years is that everything will be the same once you return to NYC. Your friends will not forget you (if they are good friends! ), the streets will still be bustling, and your favorite bars and restaurants will (probably) still be open. 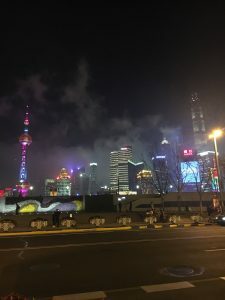 Yes, you will miss some events and perhaps some leadership opportunities in on-campus organizations, but you would be surprised at how much you can still stay involved remotely from Shanghai. 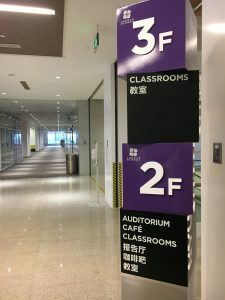 Besides, NYU Shanghai has an entire bevy of unique on-campus opportunities and ways to get involved. Not to mention, the opportunities for fun weekend side-trips are infinite! I just returned from four days in Sichuan Province last weekend. Round-trip flights and train tickets within the country are affordable on a student budget, and the cost of living both in and outside of Shanghai is much lower than in NYC. 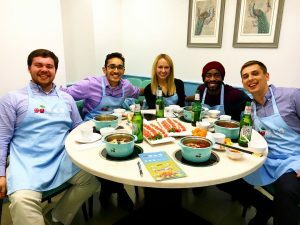 So you should think about all the stuff you will miss out on if you DON’T study abroad in Shanghai! “Social media and Gmail are blocked! I’m not ready to give these things up for four months!” There are these things called VPNs, and NYU has a good one for you to use while you are in Shanghai. You can Instagram at the same rate as you would in NYC—no obstacles here! “You have to be a 3L to study abroad, right?” No! You can study abroad as a 2L. 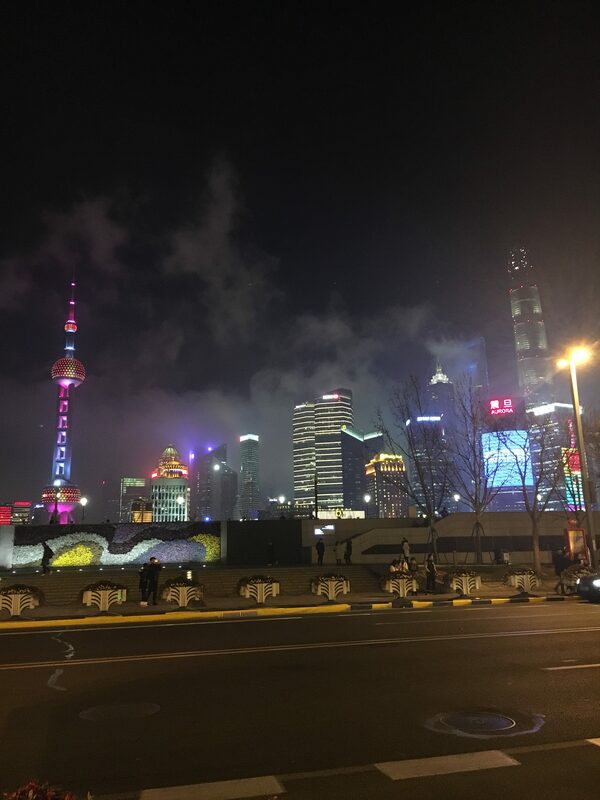 I am spending my spring semester of 2L in Shanghai now! The selection process is competitive, but you certainly can be selected for the program as either a 2L or a 3L. “Employers at Early Interview Week may not like the fact I will be studying abroad for the semester away from NYC.” I personally did not find this to be the case during my EIW experience. 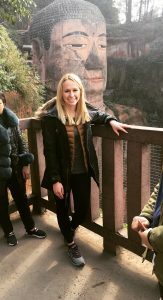 In fact, many employers were excited that I would have firsthand experience learning about one of the most complex legal and business markets in the world, as well as building an all-important cultural competency by living and studying in Shanghai for four months. 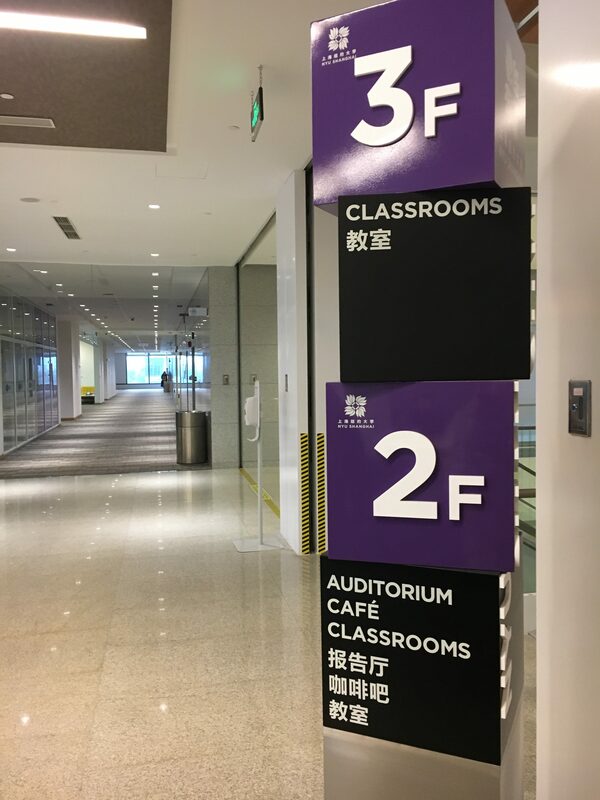 As business transactions become more globalized and China’s influence continues to grow, the course offerings at NYU Shanghai will help you be a more globally minded attorney in the future. This entry was written by Gracie Smith '19 and posted on January 25, 2018. Gracie is a 1L native-Alabamian-turned-New-Yorker. After graduating from Vanderbilt with a degree in public policy, she taught high school math with Teach For America and worked at Morgan Stanley as a financial analyst. On campus, she is involved so far with the Domestic Violence Advocacy Project as an Uncontested Divorce Project advocate. Gracie enjoys traveling, playing guitar, reading (especially memoirs and historical fiction), running, using legal jargon in everyday life, and occasionally bingeing on Netflix.